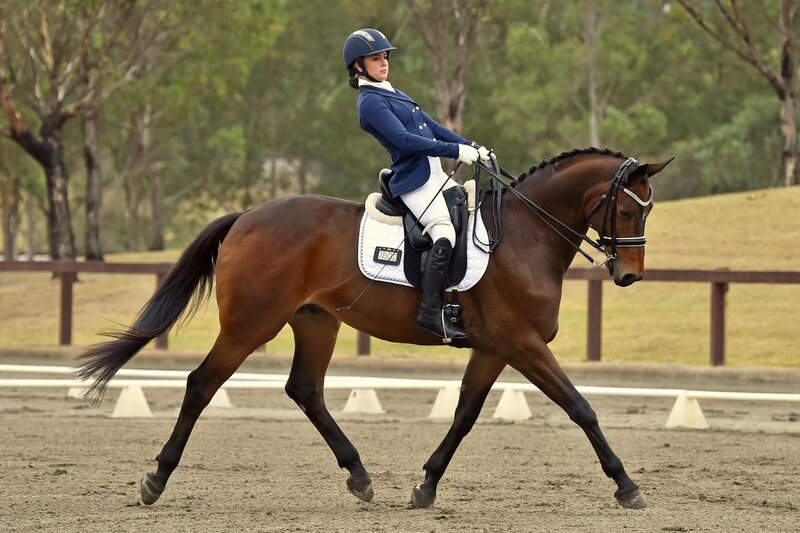 Australia's Emma Booth has set her sights firmly on a Para-Dressage medal at next month's FEI World Equestrian Games™. Emma, 27, who was paralysed in a car crash five years ago, and her horse Zidane are gearing up to travel quite literally across the world to compete on the sport's biggest stage in Tryon. The most passionate and ambitious of athletes, she's sure to #BeFearless when she aims for glory at the FEI World Equestrian Games from September 11. “Australian horses have such a long way to travel, which I think a lot of people forget when watching us compete on the other side of the world. It is such a huge adventure but makes the experience all the more worthwhile,” she said. After a fifth place finish at the Rio Olympics in 2016, Emma’s first international competition as a para-athlete, she is excited to get back on the saddle and fight for her place on the podium. Emma hasn’t always been a Para-Dressage athlete. Prior to a catastrophic, and almost fatal car crash in 2013, Emma was an Eventer. Her life changed when a truck jack-knifed and slammed into her car and horse trailer as she returned home from an event. “Coming around to the idea that after my accident I was a Dressage rider was very odd initially. Learning to ride again after becoming a paraplegic was a huge task in itself. “My past riding experience helped for sure, but relearning everything was challenging and even frustrating at times. “Knowing what I wanted my body to do but not being able to physically follow through with a command was odd. 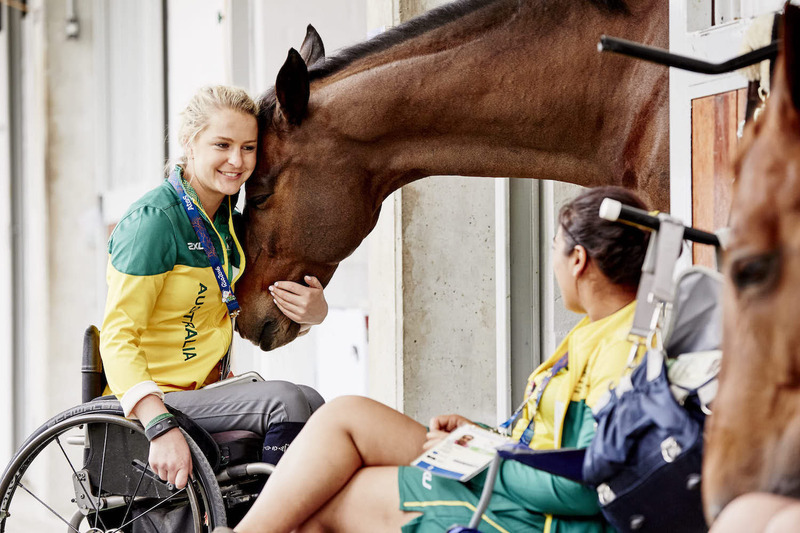 Emma, from Victoria, was a reserve rider for the Australian Para-Equestrian team at the 2014 FEI World Equestrian Games in Normandy, just a year after the crash. As a naturally competitive person, Emma said she is constantly pushing herself and believes that without the drive and goals to get back on the horse as a para-athlete, her recovery would have been vastly different. “When it comes to horses, I don’t need to try and find passion or drive to motivate me, I just have it," Emma said. "It’s been in my bones since I was born and I think if you have that passion for equestrian sport from a young age, it’s certainly hard to stop. Emma has become a star of the Para-Dressage scene and was the winner of the Against All Odds category in the FEI Awards last year (see video above). “As I’ve said, riding really gives my life purpose. I live with a disability on a daily basis and am therefore restricted in certain things I am able to do, but when it comes to riding, I feel the same as anybody else and am given a sense of freedom in the saddle. “When I am riding, Zidane and I have our own language and he is my legs so that I am able to get out of my wheelchair. “Zidane is such a special horse in so many ways. "He has an enormous heart and is always aiming to please. He is super intelligent, quirky, and loves attention. There are so many things about him that make working with him such a pleasure and a privilege. “I think something that’s really important with my relationship with Zidane is that he looks to me for support as much as I lean on him for confidence at times. When asked about what her biggest piece of advice would be for new or hopeful para-athletes, Emma pointed to the importance of leaning on the support systems available. “I have had the international experience at Rio in 2016 and I now have my sights firmly set on getting a medal at WEG, 2018," she said. “I’m certainly excited about a lot of things but I think as a para athlete, being able to compete at the same time as the able bodied athletes will be a pretty special experience. I’m also excited to catch up with international competitors that I met and formed friendships with in Rio. She said it! If you’re as excited as Emma for WEG 2018, be sure to follow along with build up on all the FEI social channels and, of course, tune in to all the live action in September on FEI TV.